I'm LOVING the leather/faux leather jacket trend for sure. I really never thought I would love it, but with the chill outside, I'm starting to love my leather look. Here's the mobile photo that started my obsession!! I was at Target and was like, hmmmm, I think I'll try it on...why not afterall? And, I felt fab! I'm dying for you to see and be able to buy the new leather jacket that Old Navy just sent me. I never figured Old Navy could perfect a leather jacket - but it's truly AWESOME! So, as soon as they get more ordered and it's back up, I'll be sure to let you know. But, here a couple options I think have the same fun as this one I found at Target (which seems to no longer be avail :( ). We love .... biker jackets give dressed up styles a streetwise edge. Do you want the biker chick jacket, but authentic?! Here's an authentic fabulous quality biker jacket for you. This store offers leather up to size 5x! Great Post! 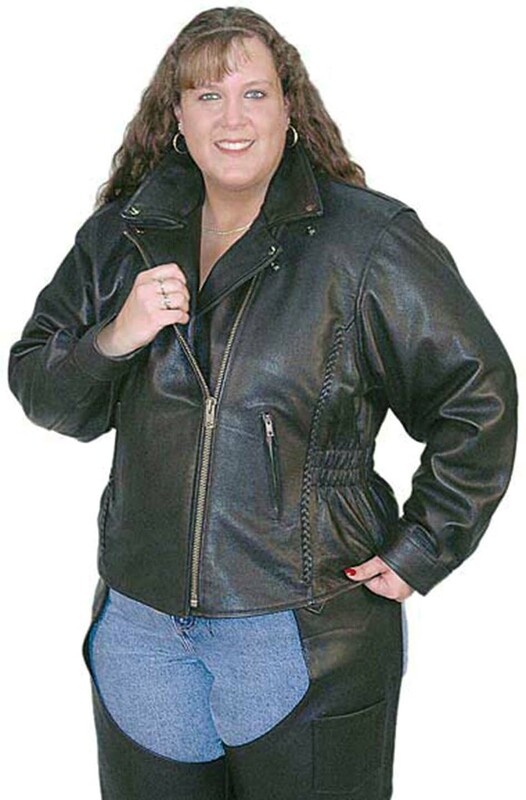 I am looking to buy Leather motorcycle jackets any info regarding it would be welcome. Think you for your alertion about fashion leather jackets. Love all of them.